Three weeks ago, we were packing up the last of our belongings, saying final goodbyes to friends and co-workers and church family, madly finishing up projects to prepare for the new Dean, and preparing for our cross-country move into the next season of our lives. Three weeks from now, I’ll be exploring a brand new city, starting a new job, getting to know new co-workers and new college students, walking through orientation at a new seminary, starting a Ph.D. program, visiting new churches, and possibly closing on a new house. We’re in the midst of what I’ve labeled (in my own mind) the incredible journey. It’s taken us from Los Angeles to Albuquerque to Oklahoma City to Tulsa to Louisville to Indianapolis to St. Louis to Tulsa to Oklahoma City and back to Tulsa again. Transitionary travels have a way of pulling at the seams of routine while granting precious time for the mind to sew together reflections. 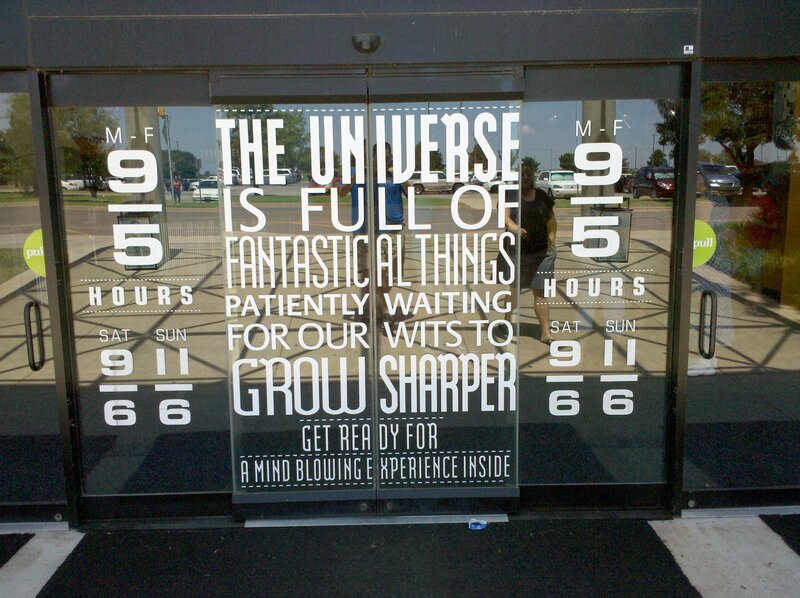 This is good, because unfortunately, routine and reflection don’t often mix. Perhaps there will be a time in the near future to expand on some of those reflections, if the galloping start of a new routine doesn’t trample that opportunity. For now though, here are some of the moments, both mundane and meaningful, from the past few weeks. And gladly, for the child of God, even the mundane has meaning. Gathering to worship with the saints at Placerita Baptist Church one final time. Contrary to the mocking spirit of the age, the church is glorious. Her stains are real, but they’ve been washed. Making one last quiet stop at my King Hall office at The Master’s College on a lazy Saturday afternoon. This place has revolutionized my life. Simultaneously utilizing a smart phone (both the phone and internet features), Bluetooth, GPS, iPod, and laptop while researching and reserving storage bins in Louisville while driving somewhere near Needles, California. Technology sure does change things. Yet all contemporary inventors should be humbled by the fact that the most indispensible piece of technology I used on my trip was the wheel. 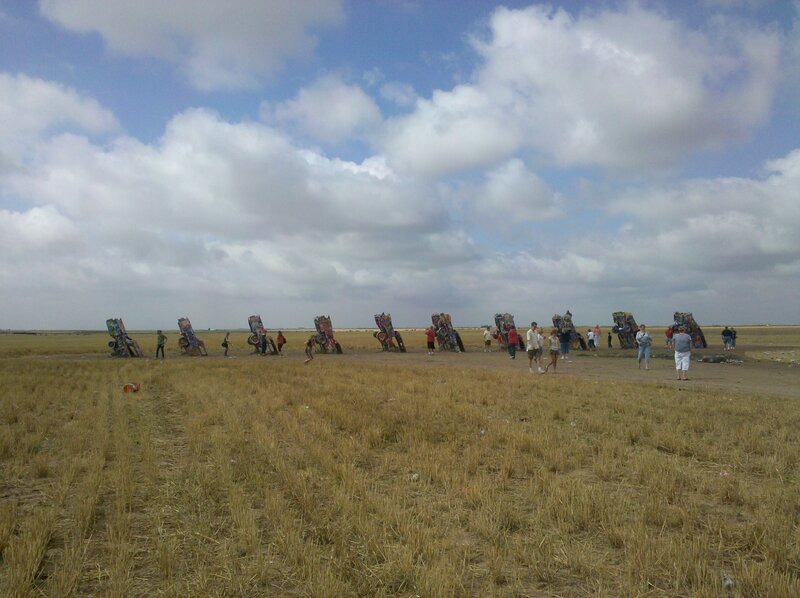 Stopping at Cadillac Ranch on I-40 just west of Amarillo, and stopping at the massive cross on I-40 just east of Amarillo, each standing as memories of my childhood travels from Tulsa to Phoenix to visit grandparents. Childhoods, and memories, are unique and precious things. Watching the Fourth of July fireworks and explaining to a young mind that we’re celebrating freedom, and remembering sacrifice. Fail to explain rituals to the next generation and you’ll raise up an army running on the fumes of empty symbolism and meaningless tradition. Stopping to take roadtrip pictures of every state’s “Welcome to” sign on the way to our new home. A small inconvenience can make a sweet memory. Dropping by Lambert’s, Home of the Throwed Rolls near Springfield, Missouri, our new pit stop on upcoming family roadtrips between Louisville and Tulsa. Life is full of fun things if you’re willing to just stop and drive a few easy miles out of your way. Driving through more rain in one southern week than I’ve seen in the last two west-coast years. It makes everything green, for the just and the unjust. Viewing sixteen Louisville homes in two days of house-hunting. I see why most people cave to the American Dream. Introducing my wife and son to the striking campus that is The Southern Baptist Theological Seminary, my new home away from home for the next five years, if the Lord wills. I feel privileged, and cautious, to breathe such luxurious air while training for battle. Meeting my new boss in person for the first time. It’s humbling to have been given a job sight unseen. Unloading twenty-five feet of moving truck into a storage bin with a couple we had never met before in a Louisville rainstorm. Heaven, and oftentimes earth, must richly repay such acts of kindness. Signing my name to a monetary offer twenty times larger than any single purchase I’ve ever made before. Can anything really prepare you for such a thing? Signing my name to a monetary offer three times smaller than the same kind of offer in Southern California. Wow. Watching the remarkable (and remarkably pantheistic!) movie Avatar for the first time. A stunning film, seemingly designed by someone who likes to play god. Enjoying my parents’ new dog after many years of their home being dogless and kidless. Dogs bring something wonderful to a family. Hearing thunder, seeing lightning, and gazing up again into the striking Oklahoma sky. I think the Cosmic Painter likes to splash and swirl around this part of the canvas, and He’s pretty spontaneous about it. Learning about sill plates, shingle seals, Radon gas, sump pumps, aluminum wiring, and auto-reverse garage doors. I (honestly) can’t wait to become a handyman. Adjusting to the high humidity that attends the Green Country of northeast Oklahoma and large cities in northwest Kentucky. Makes me appreciate particular friends who have taken the gospel to particularly humid places. Often the least-reached places are the least comfortable, which says something about us, and about how we may need to raise our children. Attending a virtual family member’s multi-ethnic wedding and enjoying every minute. What a sweet mystery. Quoting the heavily theological statement in the Westminster Confession regarding the hypostatic union of Christ as a meaningful act of corporate worship at Twin Oaks Presbyterian Church in St. Louis. There’s a proper unity among believers that should cross some denominational lines but halt at ecumenism. Knowing the difference is one of the most important (and most difficult) things in the world. Mowing the same yard I mowed throughout my junior high and high school years, but this time with my son at my side wearing a matching sweat-catching bandana. Let them help and they will learn. Experiencing the southern looks and comments to which multi-ethnic adoptive families become accustomed. Walking by the Spirit is the only way to be prepared for the unpredictable. Thankfully, thinking of responses is an exercise in rem embering the gospel. No, he’s not lost. He’s my son. Catching fireflies with Judah for the first time. If you knew that someone had designed the firefly but you didn’t know who, what would you conclude about him? Bowling at Sahoma Lanes for Judah’s three-year anniversary (July 13) and celebrating with him over his first ever strike (back-to-back!). There’s nothing on earth like having a son, and there’s nothing on earth that seems to grow up so fast. I already miss him. Celebrating my wife’s thirtieth birthday (July 18) with a large 100-person book of appreciative and encouraging notes and letters. When the wise man said, “Let her works praise her in the gates,” he wasn’t kidding. This is one incredible woman. For now, the incredible journey continues, marked by the faithfulness of God, the generosity of the saints,the gift of family, and the joy of adventure. In it all, I am learning to echo the saints of old: “I have been young, and now am old(er), yet I have not seen the righteous forsaken or his children begging for bread” (Psalm 37:25). “Jesus Christ is the same yesterday and today and forever” (Hebrews 13:8). Where/how along this journey did you learn to speak/think so graciously?